It takes a few years but that gawky 11-year-old becomes a responsible young man when Scout parents cooperate with the process. I am new to the Boy Scout Program and I am not getting answers to questions . For instance my son is to bring a blue card to a merit badge event for the counselor to sign. I got a blue card from the Scoutmaster. Another parent with experience in Boy Scouts told me that they needed to be signed by the Scoutmaster, so my son took the blue cards to the next meeting but the Scoutmaster would not sign them because the counselors name wasn’t filed out. My son and I did not know that was necessary. For example; when a Scout goes camping he need’s to find out what to bring, gather the gear and put it in his pack. It’s perfectly understandable that a parent may feel they need to do some or all of this for him – after all that’s part of being a supportive, responsible parent right? Wow! What a Godsend. 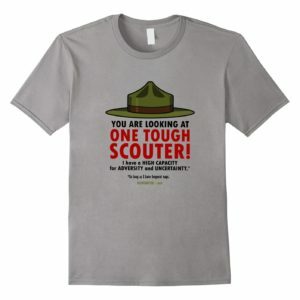 I will become Scoutmaster in 2 short weeks (after a year on Comm. and 2 years as ASM) and this has so many “nuggets” of valuable information. If no objection, I would like to use some of the content in my “Change-over” ceremony. Most of the parents of our Scouts have been in Scouting a while (our Troop is almost 40 years old), and are cooperative, but there are a couple of newer moms that could use this information. If they will abide by it, there will be fewer leader/parent problems than we’ve had lately. “There is no “teaching”, it seems to be more set up for kids who are already confident and self starters.” There is and there can be teaching, but it’s often very subtle. Actually, in my experience, Scouting is mostly for young men who may not be confident or “self starters”. It’s an environment in which they can develop those traits. 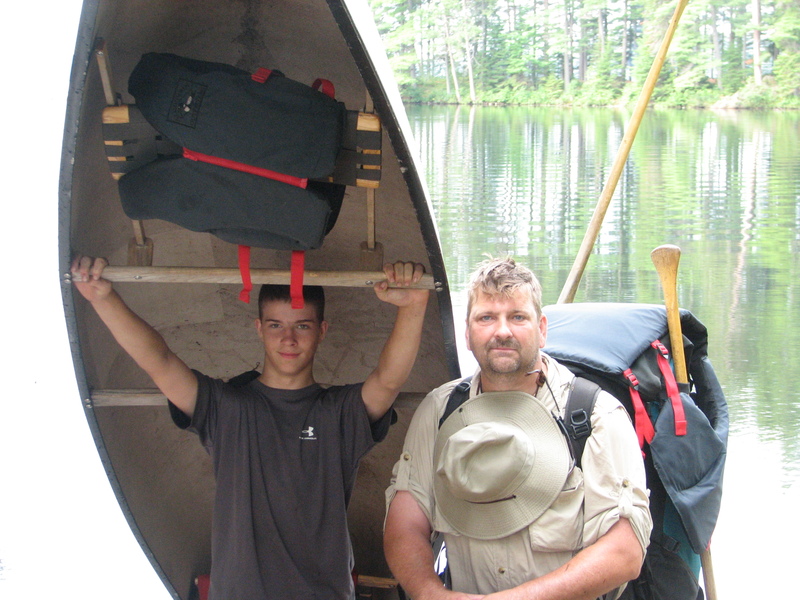 While advancement is one of the methods of Scouting, it flows from the outdoor program. Tenderfoot to First Class rank advancement is partly an extension of the outdoor program. I really like and agree with what was said in the article. The only thing I would add is if parents really want to know what is going on they should go to Scoutmaster Basic Leader Training and Wood Badge then get involved with the unit (not just their own child). The same applies to Venturing to an even greater extent since Venturers are in charge of their own program (if it is done right) and the adults are there to keep them safe and have fun along with the youth. I was a secretary for a small troop and I was allowed to write the Troop Committee Newsletter, designed for the adults, but shared with any scout who wished. Once I understood the Merit Badge Process after lots of training, I wrote up the steps and regularly featured it in the newsletter, along with other processes such as how our troop did campouts. I was also lucky enough to have two great Scoutmasters for my son who would remind me – sometimes more often than I thought I needed, but I was wrong – to let the scout do the work. When he packs his own pack, he knows where his gear is. If he forgets something, he learns something. When scouts work together using the patrol method without adult interference the learning curve is immense. Being a responsible parent also means teaching him to do it for himself and that’s what’s so great about scouting values. I agree with you. At some time or other, the SM may do any or all of these things. But to some people, when you say all of this is the SM’s job then they think that’s what they are supposed to do. “Train and guide boy leaders.” That’s the SM’s real job. He teaches the Boy Scout program to boy leaders who Lead, Train and Inspire their Scouts. To me, that is the essence of it. That is what I think every SM should aspire to focus on and eventually do nothing other than that. Now, having said that, is the SM sometimes the Troop Treasurer? Does the SM herd some parents around? 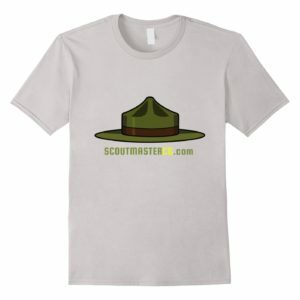 Does the SM get involved in training some Scouts when necessary? Of course. And a zillion other things. But that’s not his job. That’s not his focus. His focus should be to delegate all the business to the committee and all of the program to the boy leaders. It’s never perfect, it’s a journey. But if we don’t focus, focus, focus on that one thing, making the Scouts responsible for themselves, the program and the other Scouts, then I don’t think we’ve reached the pinnacle of Scouting. Everyone is welcome to disagree with me. I’ve done it. I’ve seen it work. I’ve seen the Scouts who’ve graduated from it. Like Clarke’s son who is now in a position of responsibility. There is a whole bunch of stuff that we do. Most of it important. And most of it contributes to young men’s growth. But this is the unique thing that Scouting provides. Whereas I agree with 90 % of what Larry has said about SM’s role, there is that 10% train of thought that I just cannot for the life of me understand. And it’s not just Larry, but many SM’s I’ve met over the years. Where, in black in white,other than individual Troop bylaws, obscure forums, personal preferances is any of this mandated by THE BSA? 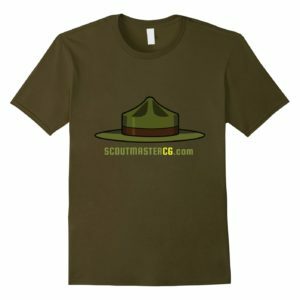 The Scoutmaster guides the boy in the spirit of an older brother…. (1) He must have the boy spirit in him: and must be able to place himself in the right plane with his boys as a first step. (2) He must realise the needs, outlooks and desires of the different ages of boy life. (3) He must deal with the individual boy rather than with the mass. (4) He then needs to promote a corporate spirit among his individuals to gain the best results. •Meet regularly with the patrol leaders’ council for training and coordination in planning troop activities. •Conduct periodic parents’ sessions to share the program and encourage parent participation and cooperation. 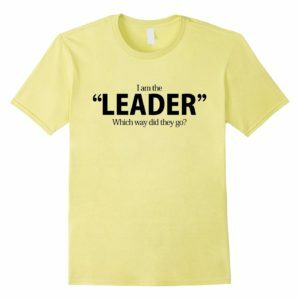 With all that being said, how can a SM set the proper example, teach leadership skills, oversee an effective Troop program, develop a lasting relationship with both Scout and parents (who are generally what makes up your Committee), set the eaxamples, train the PL and SPL how to lead and work with others, etc. etc. if the SM isn’t involved? Throwing up of hands and saying “it’s not my job” is a cop out. There is a lot of written literature about what a SM is to do, and should do, but I have yet to see anything, in writing, from the BSA that specifically says what a SM is NOT to do. Patrol method-agree; Boy led-agree, but the SM role is more than teaching the two or three Scouts at the top of the food chain and hoping it trickles down correctly to everyone else. Part of the overseeing “safe conduct” of the Troop events/outings a SM should be cognizant of whether Scouts have the proper gear/equipment/training/personal items to conduct said outing. First requirement for Tenderfoot rank is to present yourself to your leader before overnight campout….. I suppose that COULD be interpreted as Patrol Leader but honestly, to what level should we interpret an obscure statement like that. Not saying a SM should coddle or provide every step of the way. But at times you have to be a responsible adult and take care of certain situations as they arise. Do we check for every tent pole or stake, spoon, fork, insect repellant–No. But the SM had better know if everyone has sufficient water for an endurance hike, and other proper gear before staring out. A simple precheck is a lot easier than emergency extraction. And talking one on one with parents, if need be, after an outing not only gives the parent needed insight about shortcomings but also the peace of mind that the SM and ASM’s DO KNOW exactly what is going on, and not a “not my problem” approach. 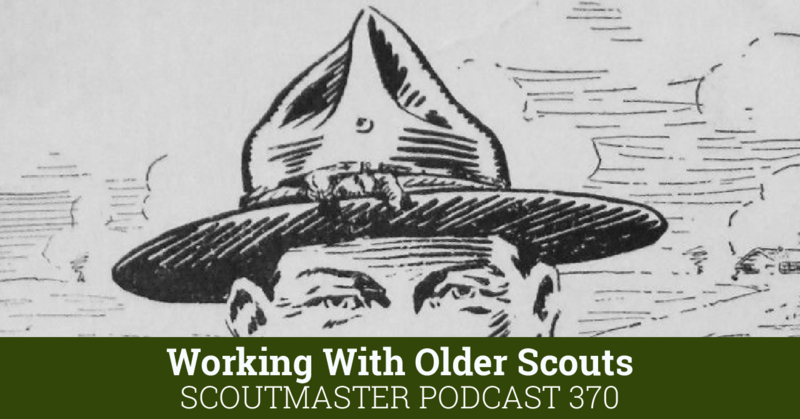 The Scoutmaster doesn’t do anything a Scout can do, and scouts can do almost everything short of writing checks and a few other administrative matters left to the troop committee. Thing is if we are doing what Scouts can do for themselves than they can’t do them. The way I know what’s going on and maintain an appropriate level of supervision to assure the Scouts are safe and prepared is by asking questions of my youth leadership, if a situation requires my personal attention (it rarely does) I step up. This is not a cop-out or a ‘not my problem’ approach, this is Scouting; Scouts doing for themselves, managing themselves, looking after each other, getting things done. When they need help they’ll ask, when they need corrective action or encouragement, I’m there. We developed a Troop Handbook that all the Weblos got when they crossed over. This is really meant as a parent handbook of what to expect and what they need to do. It is by far not all inclusive. But, it answers a ton of questions. Each parent/scout was given a folder with the handbook, medical forms, contact lists and applications for both scout and scouters. Then, we had a parent orientation meeting. Now, the parents have no problem asking any of the leaders questions and usually are just clarifying what they already know. May I get an electronic copy of your Troop Handbook? Can I get an electronic copy also? I am the one that wrote the original letter and would like as much clarification on the program as possible. One of the most important things that new parents should know is: not all Troops are the same and you have a choice. If you are not getting information, ask. Maybe your Scout is getting it but not passing it along. Or, as was mentioned above, the adult leaders of a Troop are volunteers – they have their own lives and sometimes things fall through the cracks. If it feels like they are trying, offer to help. And, if it doesnt feel right. If they dont seem to be trying. If they are doing things that go against the basic idea of empowering the youth (i.e. explicitly withholding information) then it is time to vote. Yes, vote – with your feet. Go visit other Troops. And keep visiting other Troops until you find one that feels right. Good Troops understand the importance of parent buy-in. They understand the need for good communications. They want you to be involved but need your involvement to work with, not against, what the Scouting program is trying to accomplish. I remember my sons first summer camp, he went into a first year camper program. He took a camera with him. (will explain this later) He was provided by the troop a general idea of what to pack and what he needed for the first year program. It was up to him to pack what he needed on his list. SM informed all new parents of this and that Boy Scouts is a BOY run program and that they need to be able to do things for themselves! We let him pack his things and off he went. On Wednesday night every year the troop has parent night whereas the parents bring pizza and soda, SM brings ice cream for the boys. Our son was waiting for us at the driveway. We interacted with him and others, well he wanted to come home. We firm.y told him no he only had a few more days and we would be back on Friday to eat dinner with him. He was ok with that now knowing we would be back. Well Friday night came around and we went back to have dinner with him and again he wanted to come home, begging this time. Again we told him NO he only had one more night and if he ever wanted to join the OA then he had to stay the whole time. So we picked him up the next day and all was fine until, remember the camera? Well he took some beautiful pictures of the landscape and pictures from his first year overnighter. He had forgotten to pack his tent, sleeping bag, cooking utensils, and clothes. Basically he didn’t pack anything for it. He took pictures of himself crying, when I looked at these pictures in the store when I picked them up I almost lost it, it broke my heart. I didn’t say anything about it to anyone but him. He told me he never wanted to go on another camping trip. Well his troop takes camping trips almost every month. It took a couple of weeks but I convinced him to go again and to listen to his SM and pack everything he needed and to recheck it to make sure he got everything. He did and now 4 years later he is a member of the OA, venturer crew, a Life scout working on finishing up merits badges to begin his eagle path, and someone that younger scouts look up to. He has never forgotten to pack the major things again! He lived and he learned and he grew without MOM (me)standing over his shoulder telling him what to do. I will admit I do have to remind him of things every now and then but who doesn’t have to remind a teenager every once in awhile LOL. The point is it is ok for a child to make mistakes and the parent not do anything because kids are kids and they will learn from their mistakes. The key was you stood tough on the wanting to come home and encouraged him to take responsibility for his own success. “Where was the scoutmaster teaching this concept to my scout when he joined? ” Nowhere in sight. It was his Patrol Leader, Troop Guide, Instructor or SPL’s job to do that. Every leader in the Troop (boy leader) is working on Leading, Training and Inspiring your son to achieve First Class Rank. Some better than others. If your Scout is struggling, it’s because his Troop Leaders (the boy leaders) are not trained and motivated. You should rarely see the Scoutmaster working one on one with Scouts unless it’s the SPL. That’s not his job. “then when they get back I am told by the Scoutmaster all the things that he did not have”. Your SM has issues. He is not yet fully onboard. Hopefully he’ll learn what his job is. I almost never had any idea as SM what this Scout or that Scout forgot on a campout. He either brought it, borrowed it from a fellow Scout or went without. A good SM’s goal is to not want to know all of those details for 30 Scouts. “I feel that there is a secrecy to the scouts and that mindset needs to go away.” No. It’s probably because you are a mom. Most moms feel this way sometime during their son’s Scouting career. Actually, many leaders and most boys are trying to keeps some things from mom because she is always freaking out and writing things like you ladies have written here. It’s just the way that it is. Stay with it. Pay attention. Your mommy skills are still needed, just not so much as when they were 4 or 8 years old. “There are no manuals out there explaining any of this either….the first time my son was a PL, he didn’t understand what his job was and all that it entailed.” Yes there are. The Boy Scout Handbook. The Patrol Leader’s Handbook. The Scoutmaster’s Handbook. Boy Scout Leader Training materials (which by the way are usually available at your local Scout Shop). However, if your son was clueless about how to be a PL, then his SM was at fault. Really and truly that is the Scoutmaster’s main purpose in life. To Lead, Train and Inspire Patrol Leaders and Senior Patrol Leaders. It’s not the SM’s job to communicate with parents. It’s not the SM’s job to work with individual scouts (except sometimes, including SM Conferences). It’s not the SM’s job to run meetings. It not the SM’s job to run campouts. 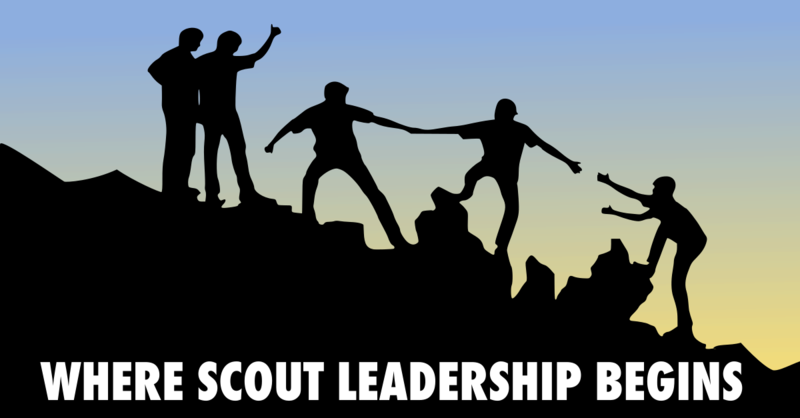 It is the Scoutmaster’s job to train leaders and implement the program of Scouting. “And no, they didn’t have a yearly calendar — it was hectic and changed from week to week.” This is wrong. On so many levels. This is representative of a SM who is not doing his job. The very first job of a PLC is to establish a calendar of events and report that to the Troop Committee. If the PLC doesn’t know how to do that and isn’t doing that, then it’s the SM’s fault. Yes, Scouting is for your family and you should know what is going on. Yes, you should know when things are planned to happen. 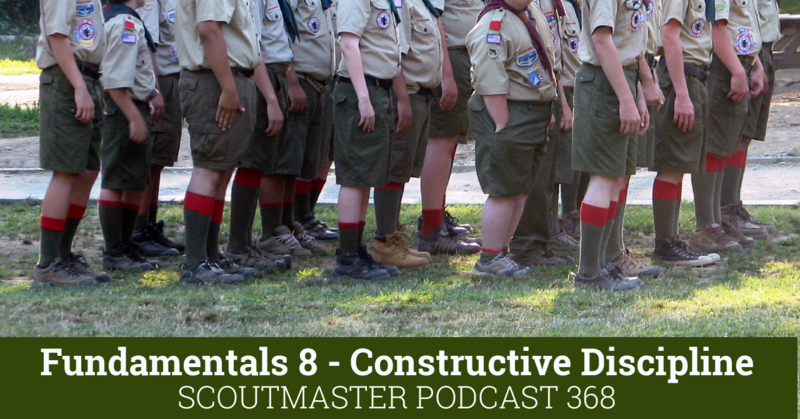 Yes, you should feel confident that the boy leaders in your son’s Troop have been properly trained and motivated to help, assist and train your Scout. Just remember, it’s boys we are talking about here. Very messy individuals, in so many ways. Boys. Just boys. But boys that we all hope to grow up to be men. Boys leading boys is a messy business. It will never look like adult coached football. Never. It will never look like adult led youth orchestra. IT. WILL. BE. MESSY. Take a deep breath. Sit down. Observe. Pray. Listen. Encourage when necessary. Be the best Mom a boy ever had! I understand where you are coming from. My son has been in boy scouts for 2 years, and is still a tenderfoot. He is a special needs child and doesn’t want to go camping every weekend, so when I asked the scout master what we could do at home, he said nothing, you have to do it with us. and when I asked about other things besides cooking on a campfire, he said I needed to talk to some one else because he was too busy, and usually all the kids go to summer camp and they do the tenderfoot requirements there. This is the second troop my son has been in. And while I understand that the boys need to learn to speak up, how am I supposed to help him learn what to ask when no one tells me? How am I supposed to help a shy child advance, when all I hear is, “the child has to do it”? There is no “teaching”, it seems to be more set up for kids who are already confident and self starters. Scouting is a great opportunity for boys who are shy, lack confidence and are decidedly not self starters to grow some of those abilities. Each grows according to their own abilities and interests. Being a tenderfoot after two years isn’t all that uncommon in my experience, there’s no ‘falling behind’ because the evaluative part of Scouting is individual, not a comparison to others. I don’t know your Scoutmaster so I don’t want to endorse his attitude or advice but I will say that advancement doesn’t happen at home. Sure you can practice skills and learn from the handbook at home but you’ll still need to demonstrate those skills and knowledge in the context of a Scout event. There is no ‘teaching’ (in the classic sense of the term) in Scouting, it’s not school, it’s not a curriculum. Scouting is a series of opportunities for boys to challenge themselves. I’ll readily admit that we don’t always do a good job of relating this to parents, but sometimes parents simply don’t like the answers they get when we do. If you want to cooperate with the opportunities Scouting offers you’ll help your son learn how to ask questions and find answers, how to be persistent and motivated, how to learn things and leverage experiences to grow. These are things that he has to do on his own, nobody, including his parents, can do it for him. Scouting is by no means is a ‘secret society’. Boy Scouting has more resources available for parent information than any other youth organization going! But you must learn to use them. Also, one must keep in mind Scoutmasters are volunteers, not ‘paid professionals’, and sometimes they have so many things going on, and several boys and parents to deal with that every minute detail does not get immediately disseminated to everyone. Too many parents just drop their sons off at meetings or activities and go home and expect the boy to retain everything he hears. Adults cannot do this, let along young boys.I send out monthly Troop Newsletters to every Scout/Parents in my Troop. It never fails a couple days later I will get questions that I answered in the letter. I say, did you read your newsletter? Oh, no. As with anything in life, you will get out of Scouting exactly what you put in it. If you complain, moan and groan about how the SM runs the Troop, you will get absolutely nothing out of Scouting. Instead, take the time to learn about Scouting, talk to your SM when he has time to do so, and volunteer to help whenever you can. This way, possibly some day your son will earn Scouting’s highest honor, Eagle Scout! LOL 31 brand new Scouts in our Troop and I was composing a similar letter but I think I will share this with them!!! Its a continuous learning experience for all. The greatest reward I get is seeing these boys grow and become men! It was as if I wrote that e-mail, because I had the same question when my son got his first merit badge. Where was the scoutmaster teaching this concept to my scout when he joined? 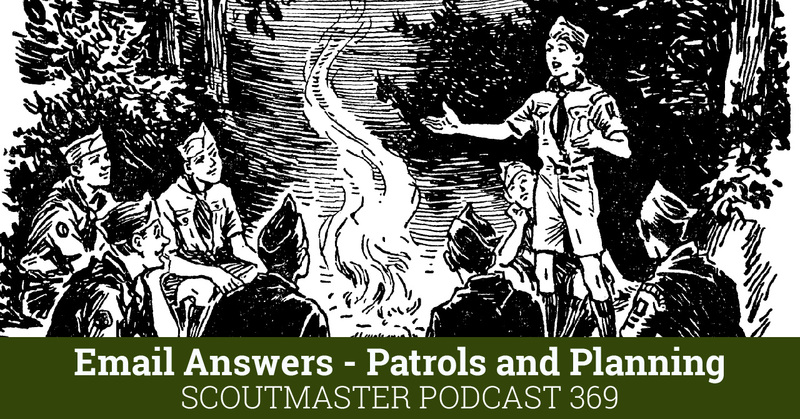 Why didn’t the scoutmaster explain the role of parents in scouting to me? I think scoutmasters would get less questions like this if this was discussed right from the beginning. My son loves the scouts…Me, not so much, but I support him and the troop. I feel that there is a secrecy to the scouts and that mindset needs to go away. Now that I understand the process, I will be more engaged with my son as he is engaged with his scout leader, troop and patrol. Really? You don’t want to help the parents understand the process so they can point their son in the right direction? How about that wonderful “Blue Card info-graphic” from a couple of months ago? I would also say, as both a past SM, an Advancement Chair, a Parent, a MB Counselor — shame on that Scoutmaster for not helping the boy find a Merit Badge Counselor. Sounds to me like there’s a lot of communication missing, and the parent is getting 100% of the blame. As a parent, I’ve dealt with a Scoutmaster who refused to even let parents know what dates campouts were. A bit on the extreme side. I suppose even that could have been workable if the troop had actually planned anything, but NONE of the boys knew anything either. And no, they didn’t have a yearly calendar — it was hectic and changed from week to week. As an Advancement Chair, I’ve dealt with Scoutmasters who decide they need to review every item signed off on a merit badge before they would sign the card as finished — even with the MB Counselor signature. Nope, that didn’t fly. No retesting. As a Scoutmaster, I’ve dealt with Parents who get the blue card, sign their kid up for a class, then show up saying it’s complete — even though I had no idea the boy had planned to earn the merit badge. Whose idea was this? 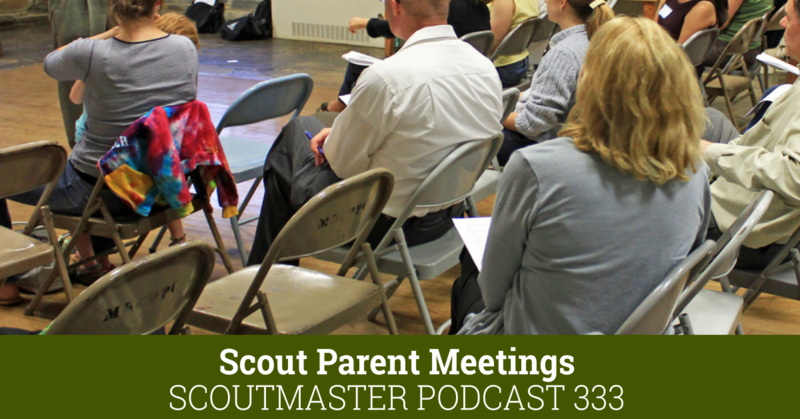 Please, communicate with parents what the goals of Scouting are — and what the goals of the Scoutmaster is, too. 99% of the time parents want to and will support the goals and ideals — let them. But I think sometimes we put scouting ahead of the family — in the long run, Scouting is there to support the family (the boy, the parents). We have to be careful to not act like Scouting is the end all. Scouting is there to help all of us be better human beings. It would be great if the SM communicated better….a “welcome to Boy Scout” meeting with the parents….even if they just create a paper to put in a “welcome packet” that would be better than leaving them in the dark! I am all for “boy led” meetings and such, but without this initial communication there is no hope for organization. It is setting the boys up for failure. All new scouts should be assigned a “Troop Guide” that will help them with these issues and a ton more. They should enjoy the transition to Boy Scouts, not stumble and trip every step of the way. There are no manuals out there explaining any of this either….the first time my son was a PL, he didn’t understand what his job was and all that it entailed. The previous PL didn’t make phone calls or anything with regard to events or meetings coming up. I finally found http://www.scoutermom.com and it answered a lot of questions that he had and started doing his “jobs”. I don’t like the “trial by fire” principle that some SM take either. Knowledge is power, but it is better to share than to keep it all to themselves. Naturally I want parents to know and understand the process of Scouting. 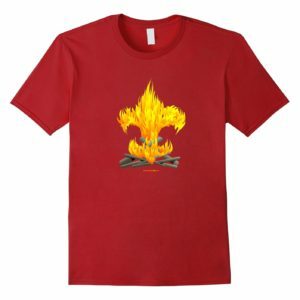 This process only works, however, when the Scoutmaster understands it and when it is administered effectively by the troop committee. Consider the entire blog and every podcast the answer to ‘what I wish every Scoutmaster understood’. People run into the problems you describe all the time, I know because I hear from them. Often the problem arises from A Scoutmaster who does not understand much about the work. Often misunderstandings arise from parents who misunderstand their role. The key is cooperation, cooperation results from understanding and understanding results from dialog. We shepherd our new families through the usual challenges and questions, we work with our new volunteers to learn the work. The overarching message to everyone is the subject of this article; Scouting is different, it’s something few people understand from the get-go, it takes time, dedication and dialog to see what’s happening. We don’t ever get to the destination, we just keep travelling it’s not about how fast we go, or how little trouble we encounter but that we travel well. In our area, during Webelos weekend, they offered a “Webelos to Boy Scout” transition class for the parents. It gives the parents some great insight into this question and others. Our Scoutmaster was very patient when I asked questions. More on the “clarification” side of things. I am fine with my kid having to ask the questions instead of me. He may not always get all the information that he needs but that is where the learning happens as well. My Scout is also learning that he is not the Patrol Leader and doesn’t need to “spearhead” all tasks. I told him to let “them” do the job you all elected them to do….if something doesn’t get done, that is a lesson learned. The Scouts attended a Camporee, and weren’t prepared for the events! Not because they didn’t have the information, but because the SPL(Senior Patrol Leader), ASPL(Asst. Senior Patrol Leader), PL(Patrol Leader) didn’t bother to read the information that was put out 2 months prior to the event. I attended that weekend, and watched painfully as almost all the Patrols failed in all the events because they weren’t prepared for the events. That was a big lesson learned!!! I have learned to NOT help my scout pack for camping….I do post a checklist the Wed before the campout and what he does with that list is on him. Blue Cards….I reminded him at first to get the cards, now I don’t say a word. My Scout at one time had 14 merit badges started in different phases of completion the first year in boy scouts. I did finally tell him that he needed to stop adding to the pile and finished what he started! We set a goal, by Summer Camp of the following year they all needed to be completed. That helped! Now he only does no more than 3 at a time because some involve so much work! Scouts will get easier! Talk to the other parents while the boys are having their meeting. They won’t bite you! The only stupid question is the one not asked!!!! I help when I can, but I have no problem deferring or finding someone in the troop that can better answer a question when I can as well. Good luck in Scouting! It is a great adventure! My Scout is now old enough to do high adventure activities and he is super excited!! !